The guys tackle the first part of the first half of the two part season 2 finale…..
And we get all the feels. Plus Aunt Jemima. 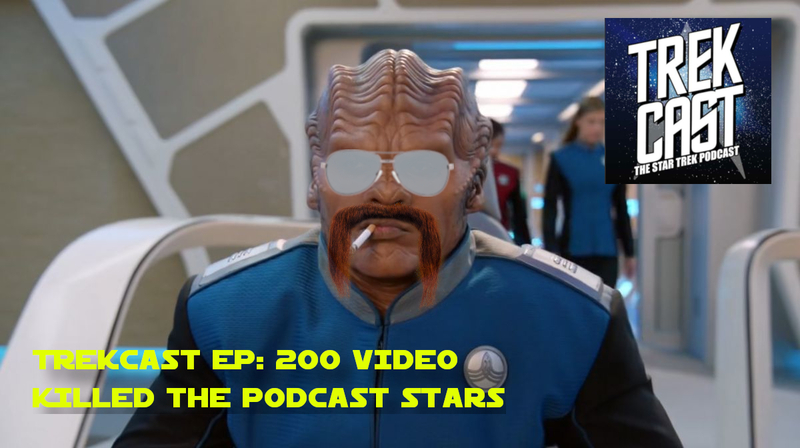 ko-fi.com/trekcast to help support the show! Major breaking news on the Picard show, we review the latest Discovery and Dan shows off some toys. We finally know who the Red Angle is, were you correct? Also, The Orville returns and we review the latest episode. Plus, feedback, toy reviews and a surprise review of Shazam. Place your bets on who the Red Angel is going to be, the boys' breakdown some theories. Daniel reviews the NCC 1701-A from Diamond Select Toys. Dan tells us what's for breakfast. 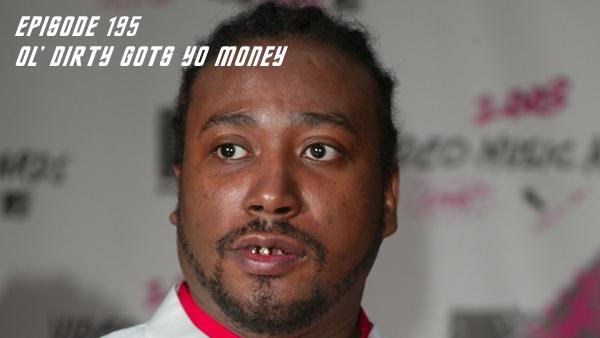 Also, Chad is wrong. 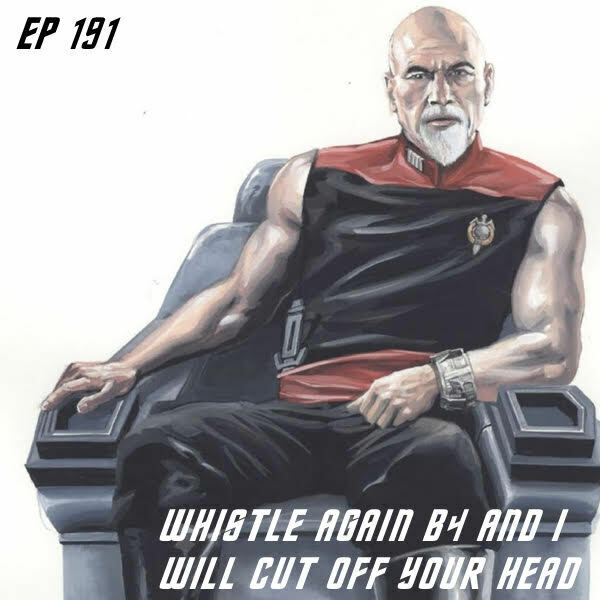 As a member of the TrekCast crew fights thru a bout in the medbay, the boys try to hold it together like Ariam - NOT MIRIAM DANIEL - We bring the news along with a review of The Orvilles “Blood of Patriots” - The one where Robert Kraft gets arrested and Discoveries awesome episode “If Memory Serves” Where we discover that Spock’s memory is not serving him. 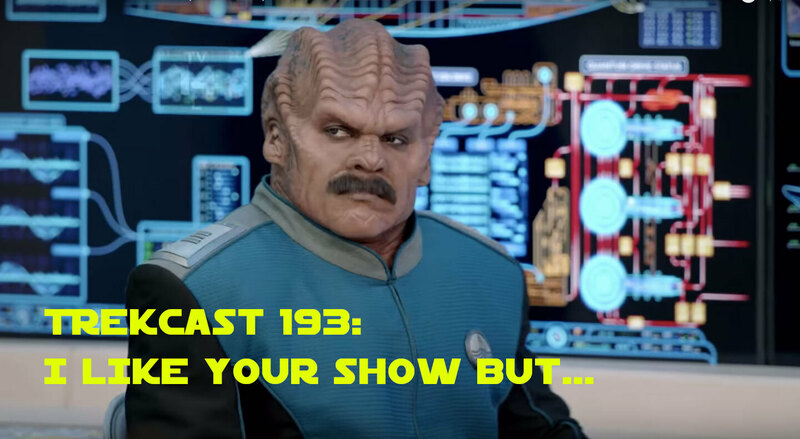 The boys review the latest Orville and Discovery episodes. Meanwhile we discuss the merits of jalapeno's on bagels. We read your emails and feedback from the group. And we talk about exocomps, even though Chad has no clue what the hell they are. Do you? Really? The Orville drops a game-changing episode. A new Star Trek video game hits the web. Also, did we finally find Spock? 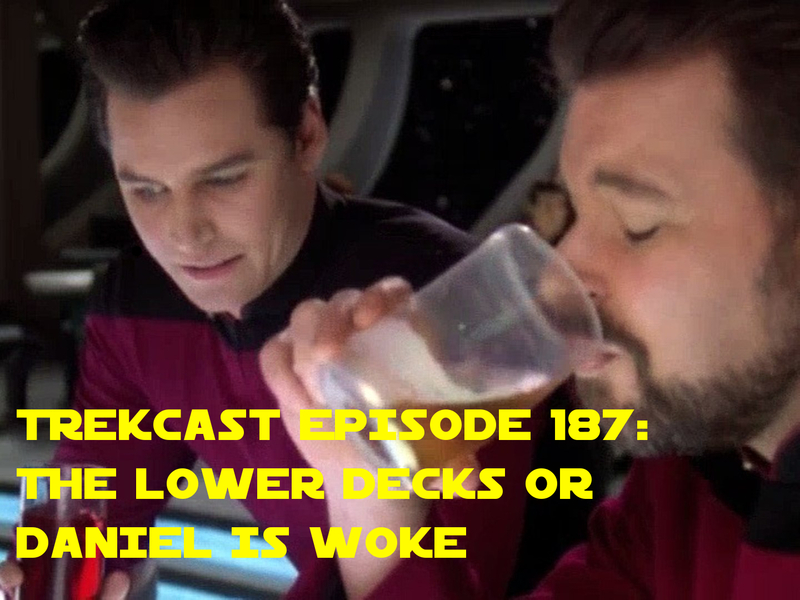 Find out in the latest episode of Trekcast. We Review Disco Episode “Saints of Imperfection” as well as The Orville “Deflectors”. Will we hear Dan sing again? Can the guys make it thru the entire show before they remember the intro? Who the hell is Goat Format? 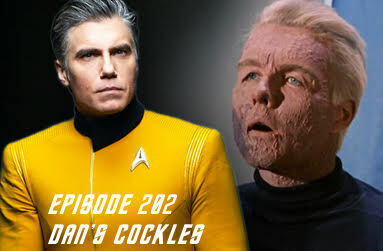 These burning questions and some Track, I mean Trek on this episode of TrekCast! 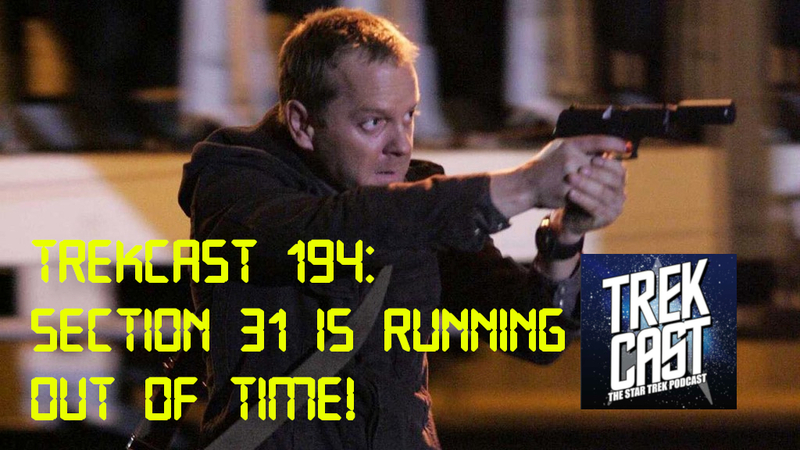 We got updates on the Picard show and the upcoming Section 31 show. 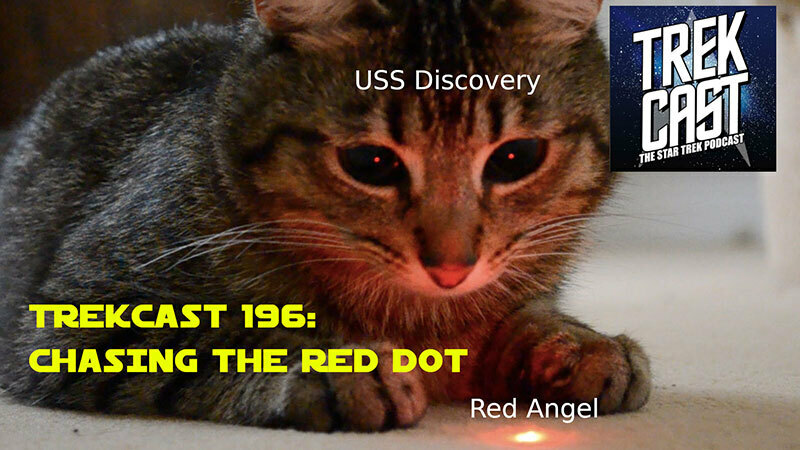 Also, we review the latest episode of Discovery. Plus Star Trek news, emails and one of us has some big news. Emails, news and 4 episodes to review. It's too much show! Season 2 of Discovery has kicked off and we are on it! Also, what's the best way to make a grilled cheese sandwich? The boys are back from Risa for the first show of 2019! Daniel brings the news and a sneak peak at the script for the new Picard series! Dan and Chad was there hands after watching the firs two episodes of the Orville. Strap in and get some extra cheese sauce! We all love Star Trek, but what's your favorite "b-plot". We take a look at some of our favorites. The Prime Directive, nice idea or horrifically unethical? The boys debate it. Live long and prosper! Because you asked for it, the crew review's "In The Pale Moonlight". Yes, there are a ton of spoilers. Please to enjoy. 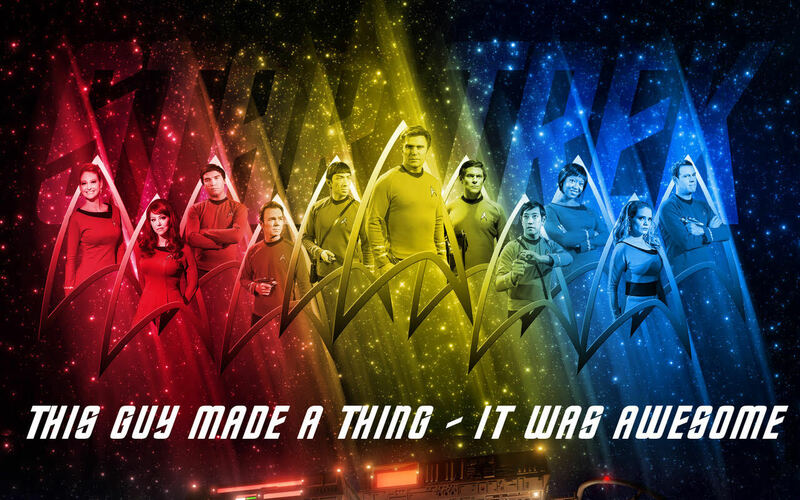 Help us improve Trekcast by taking our survey. It just takes a minute. 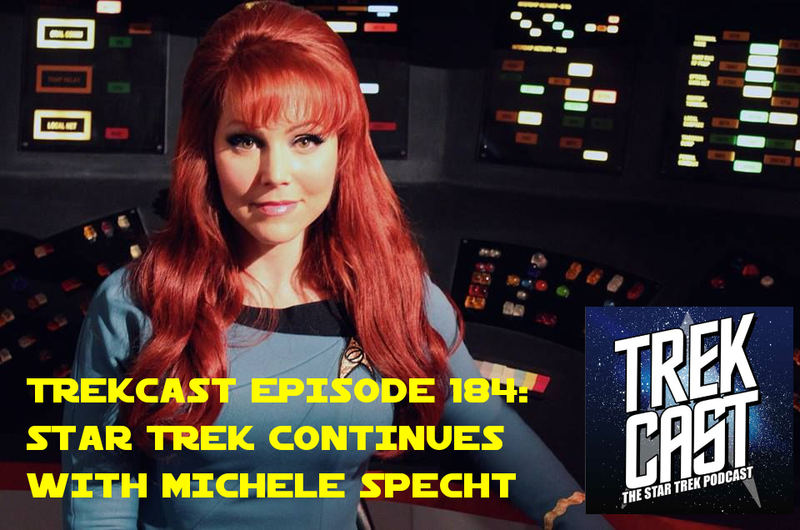 We welcome Star Trek Continues actress Michele Specht to our intergalactic-online boys' club. 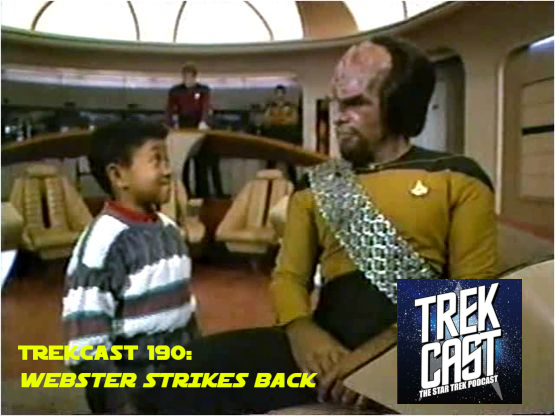 The guys tackle one of the greatest Original Cast Movies, The one with Worf and Odo! We get to heart of what this movie is all about, the search for where the hell all that paper comes from! It Comes from The Undiscovered Country! 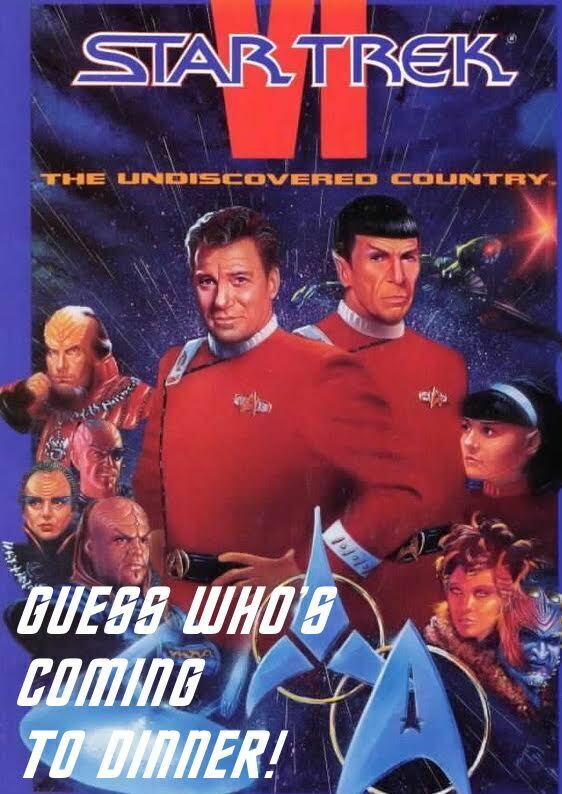 Thats right Star Trek VI : The Undiscovered Country! And for some reason Daniel watches it on VHS because thats the way God intended it….Enjoy! Picard is back, baby! But what does that mean? The crew comes up with some theories. Yellow alert! 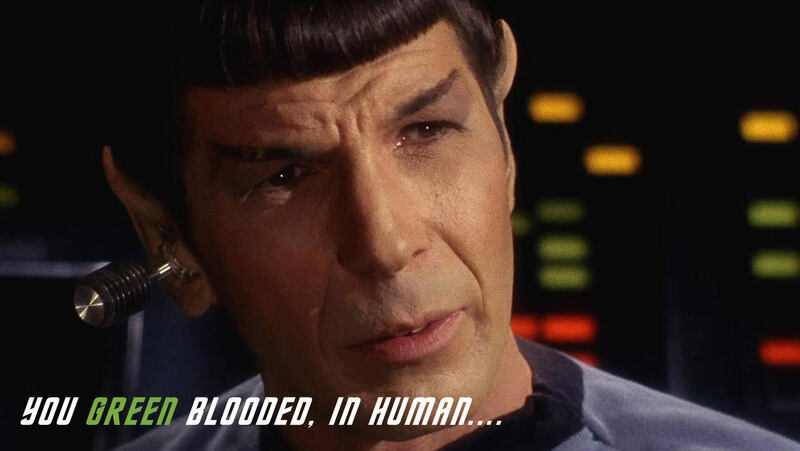 The next Star Trek movie is in trouble, we'll tell you what's up. 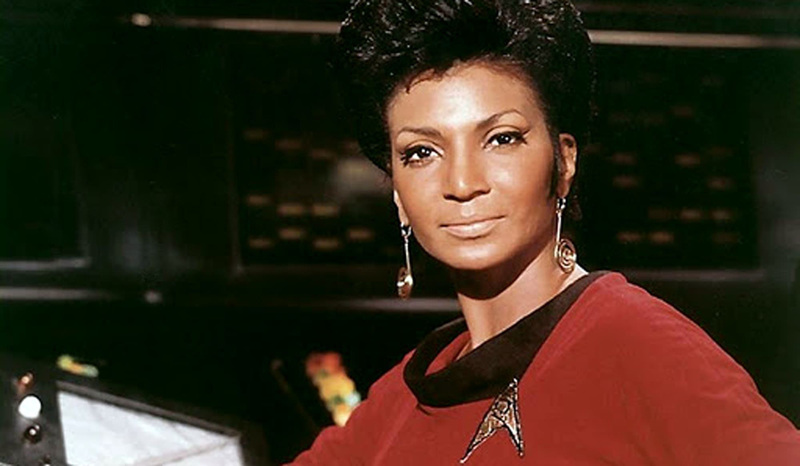 We have a rather candid interview with Angelique Fawcette about Nichelle Nichols. All we can say is, she needs our support! 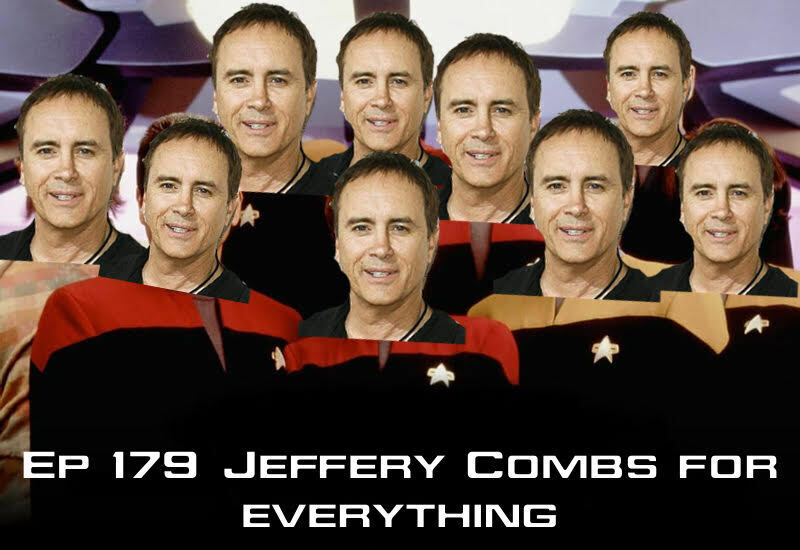 Have a listen to the interview and help out a Trek Icon! 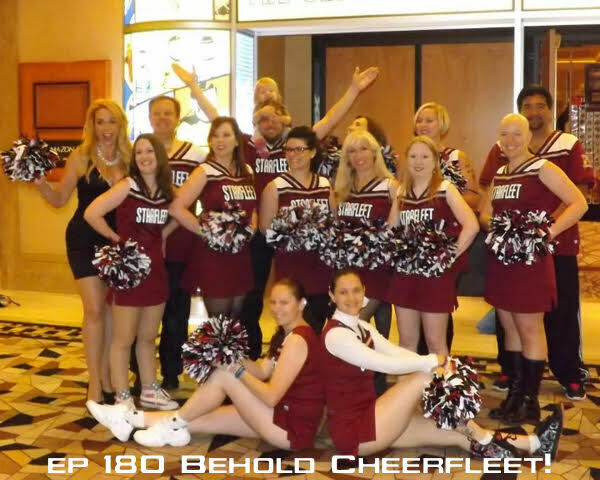 Trekcast Episode 180: Behold Cheerfleet! We bring in the squad! The Starfleet Academy Cheerleader squad that is. 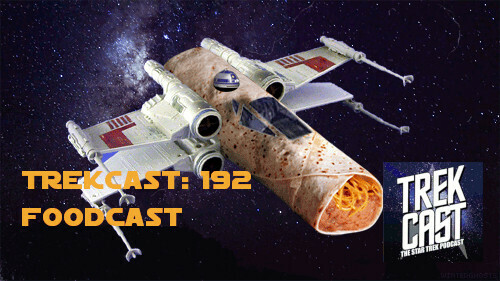 While Chad tries his best to segue into anything other than the topic, Dan dodges questions about Space Force training and Daniel for the first time does not mention anything about furry animals. 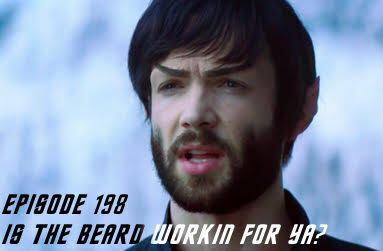 Also we talk Trek! Huge News with the trailer and of course our special guest talks with us about STLV, Cosplay and its huge role in Trek. 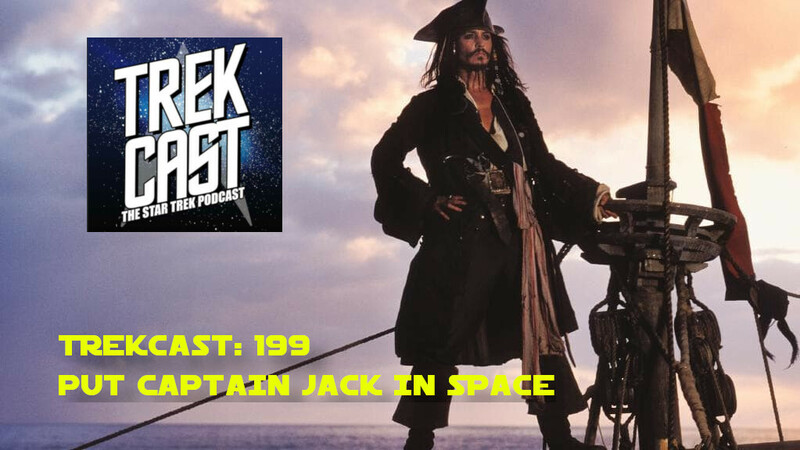 The TrekCast crew tackle a reboot and a recast of Dans FAVORITE Star Trek Series - Voyager! And we do our best make it a musical, no, not really.